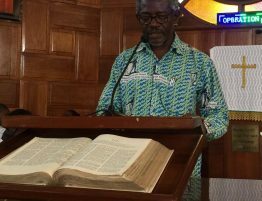 Catechist Salome Martey-Johnson has advised Christians to be firm and resolute in their quest to be transformed by embracing the word of God. She said the word of God offers hope, joy, peace hence those who rely on it will never be left disappointed. 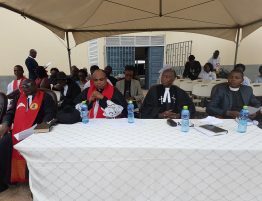 Catechist Salome Martey-Johnson was speaking at a send-off service in her honour on Sunday, January 27, 2019 after her service to the Hope Congregation of the Presbyterian Church of Ghana, Sakumono-Estates. She has been transferred to the Anointed One Congregation. 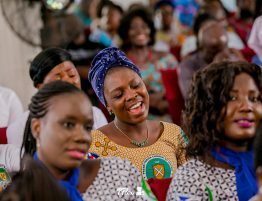 Catechist Salome Martey-Johnson joined the Hope Congregation in 2010 and in 2014 was posted to Kotobabi Number 2 to oversee the Preaching Point which had been started in that community. 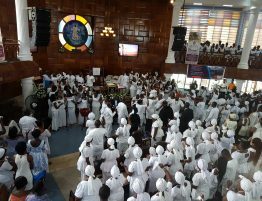 She expressed gratitude to the leadership of Hope Congregation-the old and current session, the Interim Management Committees of the Kotobabi Number 2 preaching point, members of the various groups in both congregations to giving her the platform to serve God and shepherd the flock during her tenure. 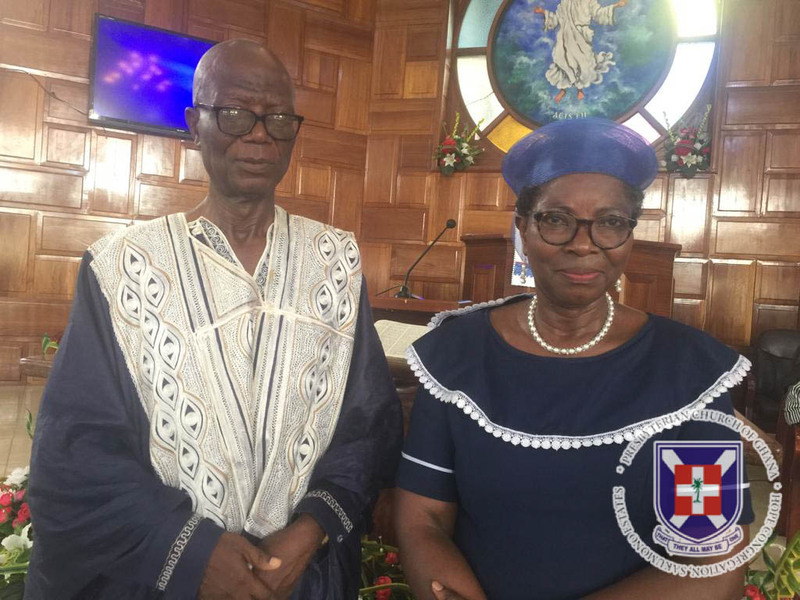 She expressed gratitude to her husband, Mr Robert Martey-Johnson and their family for their support and care during her work as Catechist in these two congregations. The service brought together congregants from Kotobabi Number 2 Preaching Point led by Mrs. Elizabeth Nicol who testified about the huge sacrifices Catechist Salome had made in the Lord’s vineyard as a caretaker from the planting and “pasturing” of preaching point to its current stage and expressed the wish that she returns to the Kotobabi Preaching Point when she eventually retires because her services will still be needed by the body of Christ. Mrs Nicol on behalf of the Kotobabi Number 2 Preaching Point Congregation presented gifts as a token of their appreciation to Catechist Salome. 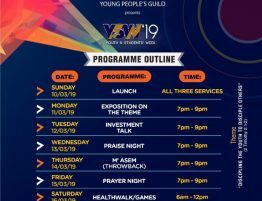 Similar presentations were made by the session and groups of the Hope Congregation. 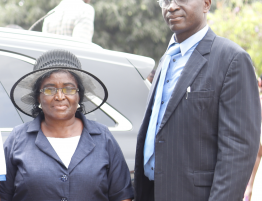 Catechist Salome Martey-Johnson came to Accra some 20 years ago as a teacher. Along the line, she came into contact with someone who knew her from her hometown who sent her to the Parousia congregation. Her journey as a Catechist saw her serving in the Community 3 and later Hope Congregation in March 3, 2010. 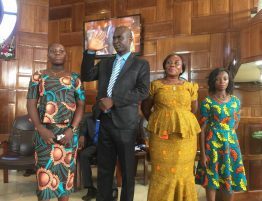 She worked under season ministers such as Revs; Gideon Puplampu, Esther Agbodeka, Vera Gyan-Amponsah, Dr William Quaye, Kennedy K. Sarpong, Sylvia Ofori Amoako, Mrs Akua Appiah Ansah, Andrew Shardow, Frederick Ashaley, Mrs. Sylvia Akuffo Anning Bonsu and Stanley Lawer and Rev Emmanuel Obeng Ntow as well as Catechist Elvis Aboagye and Cynthia Lomotey. During her stay at the Hope Congregation, she was assigned to coordinate the first service which was in its nascent stages, a job she did for two years. 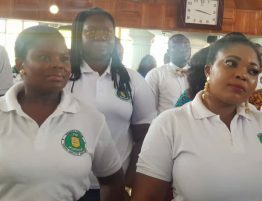 Catechist Salome Martey-Johnson said she enjoyed great support during that period from a team of volunteers and specifically mentioned ushers Mary Fianko and George Appiah who offered great support.